For most Asian cultures, tradition plays an important part in the lives of each family member. When it comes to marriage, there are different traditions and practices that hold meaning for the couple and their respective families. As a Vancouver photographer, I’ve seen many types of weddings and for this one, I’d like to give you some insight on a few traditions that may have been updated for the modern age. 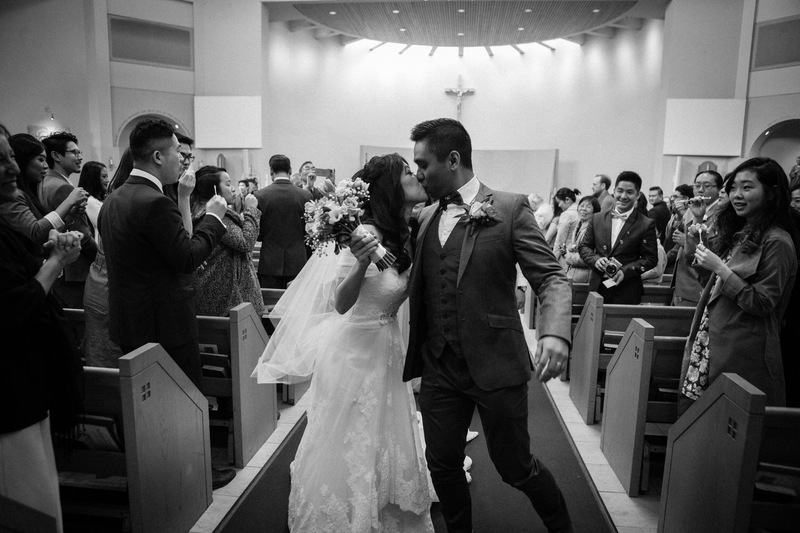 Newlywed couple Vivian and Ben prove that mixed race marriages (Chinese-Filipino) bring more fun in wedding celebrations because of certain cultural traditions. In modern Chinese culture, ‘Door Games’ are held for the groom to pass a series of tests, wherein the bride represents the beloved prize. Push-ups on top of his groomsmen. Of course, Ben accomplished each test successfully and everyone enjoyed in the process! Another tradition the couple performed is the Chinese Wedding Tea Ceremony. It’s considered the most important tradition of all, because it is the time when the couple shows their respect and gratitude to both sides of parents for raising them well and taking care of them all these years. Tea often plays a major part in Chinese customs. Serving tea to a guest is traditionally sign of respect. In the Chinese Wedding Tea Ceremony, the bride and groom are expected to serve their parents and relatives with tea, as a sign of respect and a symbol of bringing both families together. After a successful and meaningful homage to the couple’s cultural roots, the wedding ceremony was held at St. Mary’s Parish in Vancouver. The wedding entourage looked blissful with the ladies in pale lilac dresses and the groomsmen in matching purple suspenders and bowties. The groom, himself, looked particularly dashing in his tailored gray suit accented by a purple bowtie. But when the bride walked in, all eyes were on her as she gracefully approached the altar. Vivian was a vision in white and her smile lit up the hallowed church with warmth and love for Ben. I was so happy to be there to witness these two say their “I dos” and walk out of the church as husband and wife. Times like these, I love being a Vancouver wedding photographer and being able to capture these precious memories of people in my family. We took more photos with the entourage at the Jack Poole Plaza (on top of Cactus Club) which had a great view of Stanley Park and the Vancouver Harbor. The reception followed at the Terminal City Club, where the night started with a bride and groom lip sync dance off and ended with laughter and the money dance which is popular in Filipino culture. My best wishes and congratulations to Vivian and Ben!